JACKSON, Tenn. - The Jackson Generals, the Double-A affiliate of the Arizona Diamondbacks, are pleased to announce that right-hander pitcher Kevin Ginkel was named by the Southern League as the BC Powder Relief Pitcher of the Month for his outstanding performance in August. Ginkel was also recognized by the Arizona Diamondbacks as their Minor League Pitcher of the Month, becoming the second General to sweep both awards this season. Ginkel earns the award after tossing 10 scoreless outings this past month. The San Diego, California native posted a 3-0 record alongside a flawless 0.00 ERA (0 ER/14.0 IP) in August, and was also 3-3 in save opportunities. Ginkel allowed just seven hits and three walks last month while recording 20 strikeouts and holding opponents to a .149 (7-for-47) batting average. Across 34 appearances with Jackson this year, Ginkel has posted a 5-0 record and a 1.69 ERA (8 ER/42.2 IP), converting five of seven save opportunities in the process. The 24-year-old hurler allowed just nine walks while registering 60 strikeouts and holding opponents to a .176 (26-for-148) batting average. Ginkel finished the 2018 regular season allowing just one earned run across his last 15 appearances (20.0 IP). Ginkel attended El Capitan HS in Lakeside, CA before being selected by the Arizona Diamondbacks in the 22ndround of the 2016 MLB Amateur Draft. 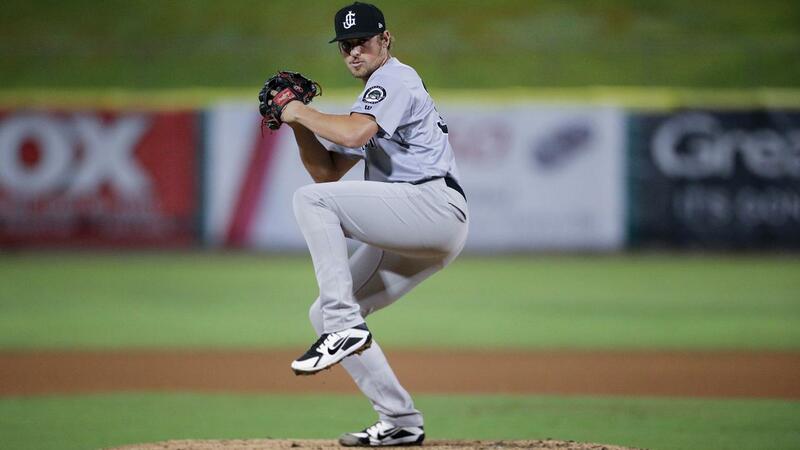 Prior to his promotion to Jackson in late May, Ginkel began the year with the Visalia Rawhide in the Advanced-A Class California League, pitching to a 0.99 ERA with 40 strikeouts in 27 1/3 innings pitched. The former Arizona Wildcat debuted at Double-A with an extended run of success, pitching 14 1/3 straight innings in relief before allowing an earned run. The streak of 14 1/3 consecutive scoreless innings in relief bested the team's season-high mark of 11 scoreless relief innings pitched in the month of April by Colin Poche, who also swept both the SL Relief Pitcher of the Month and the Diamondbacks' Minor League Pitcher of the Month awards for that month. Ginkel's later broke his own mark, finishing the regular season on a spree of 15 innings pitched without an earned run allowed. Ginkel's span of 15 run-free frames is the best by a Generals reliever since the 2017 performance of Gabriel Moya, which lasted 34.0 innings. The August honor is the first league-awarded commendation for Ginkel in his three-year professional career. Beginning in October, Ginkel has been invited to pitch alongside Generals teammates Tyler Mark, Bo Takahashi, and Jon Duplantier in the prestigious Arizona Fall League prospect showcase. The Southern League-BC® Relief Pitcher of the Month award is presented by BC® Headache Powder, a well-known brand throughout the Southeast and the Official Pain Reliever of the Southern League. The award is given to the most outstanding relief pitcher over the past month based on both statistical success and situation prowess. In 1906, at their pharmacy in Durham, NC, Germain Bernard and C.T. Council formulated a new, effective pain reliever that fast developed a very loyal customer following of hardworking Americans who needed reprieve from their toughest aches and pains. 100 years and millions of family and friends later, BC® Powder is still bringing speedy relief and showing pain who's boss. BC® Powder is available in four varieties - Original, Arthritis, Cherry, and Sinus.